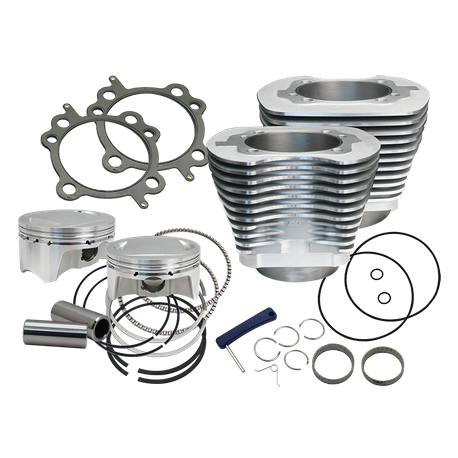 This bolt-in big bore kit is easy to install, and requires no machining or rebalancing. This is the largest bore (3.937") that can be fit in a stock engine case. 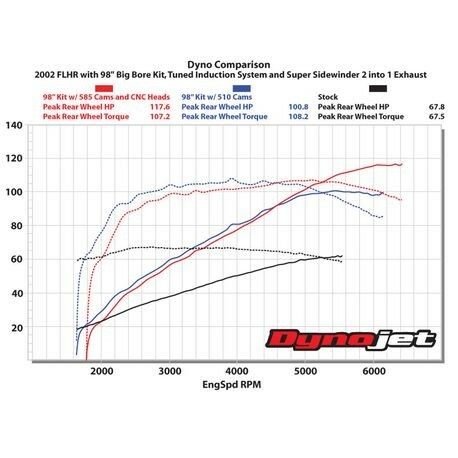 Stock engine height is maintained so there are no manifold or frame fitment issues. The S&S 11 fin cylinder design closely resembles OEM shape and come prefinished – ready to install. Cylinders feature increased fin area for better heat dissipation, and the centrifugal cast, gray iron liner features 40,000 psi tensile strength for superior wear and performance. The pistons in this kit have a 10cc pop-up dome for slightly higher compression rato. This is one reason to choose and S&S 98" kit over the S&S 97" kit which has slightly less compression.